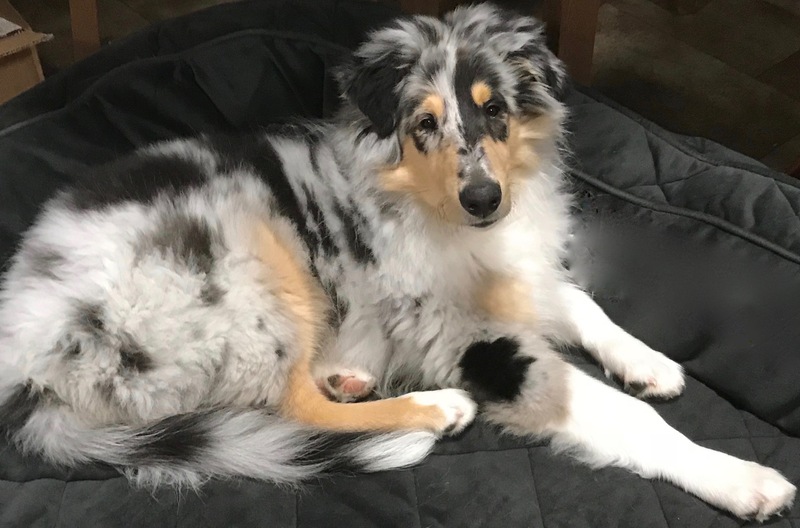 It was very hard for us to part with this affectionate, gentle, charismatic puppy, but knowing that he was going to a wonderful home made it a little easier. Jack is the Ehlke family’s fourth Rainshade Collie. When their beautiful Rainshade Charlie the Court Jester passed away after a long, happy life, the Ehlke family needed a new puppy to add to their family. Jack was the perfect puppy to bring them love and joy. Jack is a very sweet puppy who makes friends with everyone he meets, including the wild baby bunny he found in the yard. We wish Jack and the Ehlke family many long, happy years together!